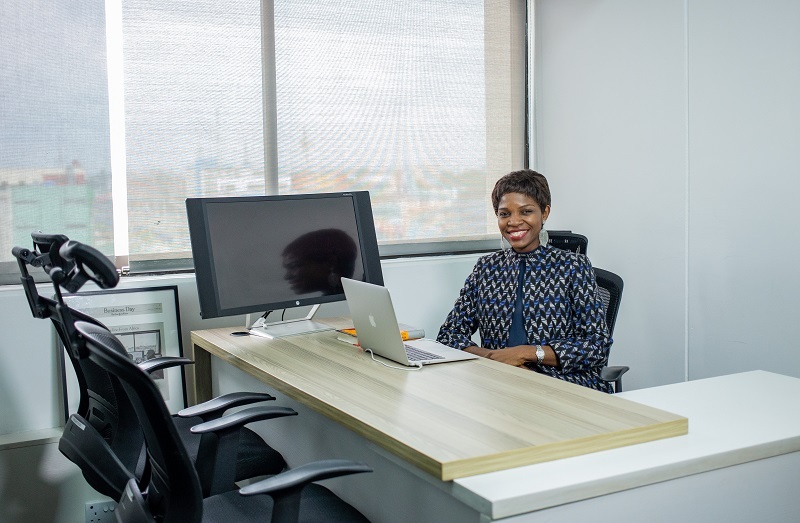 In 2018, YNaija was granted the rare opportunity to profile Andela Nigeria, the Nigerian arm of a global company focused on training and placing indigenous developers with international companies. We were awed by their ethos and the community they had created around their cohorts, the very heart of their operation. After the company raised $100 million dollars in funding from Generation Investment Management, Sola Obagbemi helped us touch base with the Nigerian Country Director, Omowale David-Ashiru and talk about the future of the company. Here is the interview in full. Andela just sourced a new round of funding from General Investment Management, bringing the company’s total current funding to 180 million dollars. That is impressive for any business. Even more so for a start-up based in Africa whose product is people. What does this new round of funding mean for Andela? It is a huge deal for Andela for two reasons. First, it is a testament to the ground-breaking work that Andela has done over the last four years. Andela wouldn’t have reached a Series D funding drive if the company hadn’t performed on the tasks and projections it set for itself for the last three rounds of funding it has raised. It shows how much confidence our investors have in us. Secondly, there is still so much to be done and we now have the mobilization to do it. We’ve spent the past few years collating and analysing the data we have amassed from our cohorts, our partners and our interactions with our much larger industry and it affirmed our desire to develop software engineers that would contribute to solving the global tech talent shortage. So far we are at 1,100 developers, which barely scratches the surface when you consider Nigeria alone has 200 million citizens. We can scale if we use technology, to help our developers learn better and faster, to improve communication between our teams here and our partners abroad and improving how we work. The future of work is ‘distributed ’ and especially here in Africa, the technology we need to fully embrace this new mode of work needs to be invested in. A Series D investment can mean one of many things, good or bad depending on the company. With its current valuation, why is Andela choosing to seek private funding instead of going public? Every business seeks capital to execute the ideas for which they went into business. The ultimate goal is for revenue to exceed expenditure and make significant profit to sustain the business. The sheer scale of what Andela has projected for itself means that it simply is not enough for us to break even or make modest profit. While our goals are ambitious, we are not at this stage opening up our requests for funding to the general public. Going public comes with its own unique challenges and it is a decision we must consider carefully if we want to go that route. Andela will not go public purely for the sake of going public. With each round of funding comes new investors and new expectations. Does this make it harder for the company to stick to its original goals? We have a Board, and we are lucky to have members that are diversified but remain totally in line with the vision. Our Board trusts us and endorses how we have run the company thus far. So our private investors trust our Board to serve as a feedback machine to ensure we remain committed to our mandate. This round of Series D funding was spearheaded by Generation Investment Management but many of our core investors were also part of this new round of funding. So our core investors continue to influence how the company is run and there is minimal friction with the inclusion of new investors. With each round of funding, Andela’s business models and expectations have shifted to match its capabilities and influence. How different is Andela today from the company that started in 2014? So the mandate hasn’t changed, neither has the dream. The people who invest in Andela usually already understand our mandate and choose to invest because it aligns with their values. A good example is our Series D funder Generation Investment Management is an $18.6 billion fund that is primarily interested in sustainability research and they approached Andela to invest in the work we are doing on the continent. One of their core tenets is that the future of work is distributed and for that future to materialize, more developers need to be trained and mobilized, two important values for the company as well. What does this new infusion of cash mean for Andela as a business that trains young developers to take on the global market? For our developers, each round of funding we raise is a guarantee that their jobs are secure and the community we’ve built around them will continue to sustain and support them. But beyond that, one of our core values is not just developing young developers to global standards but also to create a technological framework of processes and applications into which developers anywhere in the world can plug into and access the tools and resources available to them. So we are investing a lot of this funding to internally improve our in-house technology and how it affects the developer’s productivity and their communication with partners. We are strongly committed to ensuring that all the tools needed to make working in our company as easy as possible are available and accessible to our developers and cohorts. At its core, Andela is about people, training them up to global standards, building a community around them and placing them locally and internationally. If the very model of the company is built around staff leaving; how does Andela ensure that it doesn’t mistake employee dissatisfaction for growth? At Andela we are lifelong learners. We are very data-driven and so we actively seek out the data, especially from our developers. We ask them questions, we seek to understand how they work, what are the hindrances to peak performance for them and their personal wellbeing. All this data allows us to adjust our indices and improve on our community. We are by no means perfect but we try as much as possible to be close to perfect. We also try to instill an understanding of why each cohort is in Andela. We receive thousands of applications to join the programme but we only can give a small percentage a place. So we impress on our cohorts that they are obligated to utilize the best of their positions and pay the good deed forward. No one comes to Andela by accident, and as such we don’t have to worry about people feeling left out. I understand that the ultimate goal of the company is to place its best and brightest talents locally and internationally, but how much success has Andela achieved in the last year towards this goal? There is a global talent shortage for companies that use technology to advance humanity and our core job is to meet that shortage. But our impact at Andela goes beyond our developers in the Fellowship. We have the Andela Learning Community (ALC), which is dedicated to providing opportunities for developers who are interested in gaining skills in technology. We have partnered with companies like Google, Microsoft, and Pluralsight to empower over 30,000 developers through ALC so far and we intend to do more. Mark Zuckerberg visited Nigeria and while some of us might have taken it for granted, that kind of attention brings investments which have started a cycle of growth and progress in both Nigeria and Africa. Half a billion dollars was invested in African start-ups in 2017 alone. What the challenges that this new round of funding will bring for the company and how do you intend to solve them? I wouldn’t call them ‘challenges’, I would call them responsibilities. As we attract more funding, we have more responsibility to succeed, not just for our investors but also for our community and our partners. It means we must demand more of our developers and we must be more innovative across all levels. But this is where Andela thrives, when we are faced with an opportunity to innovate. Nigeria is in an election year, periods that are traditionally marked by uncertainty. How does Andela intend to insulate itself from the consequences of a possible regime change? Andela has given a lot of consideration to how it intends to interface with the governments of its host countries and has set out strategic and operational responses to friction. Strategically, it serves us better to not insulate ourselves from the happenings in our country, because we are here, and our business is here. So we are proactive about letting the government know what the company is, how it operates, what we intend to do to improve the country as a whole. It is up to us to find a way to interface positively with the government so our plans for our cohorts and the industry as a whole are understood, and the government sees us not as competition but as partners in its drive to impact all Nigerians positively. On the operational level, we have structures in place to ensure our developers continue to function properly no matter the disruptions they face. This is why we emphasize that the future of work is remote and distributed and empower our developers with the tools to work from anywhere with minimal disruptions to their schedule and the quality of the work they do. We are here to stay, and we intend to thrive, no matter what the external circumstances are.